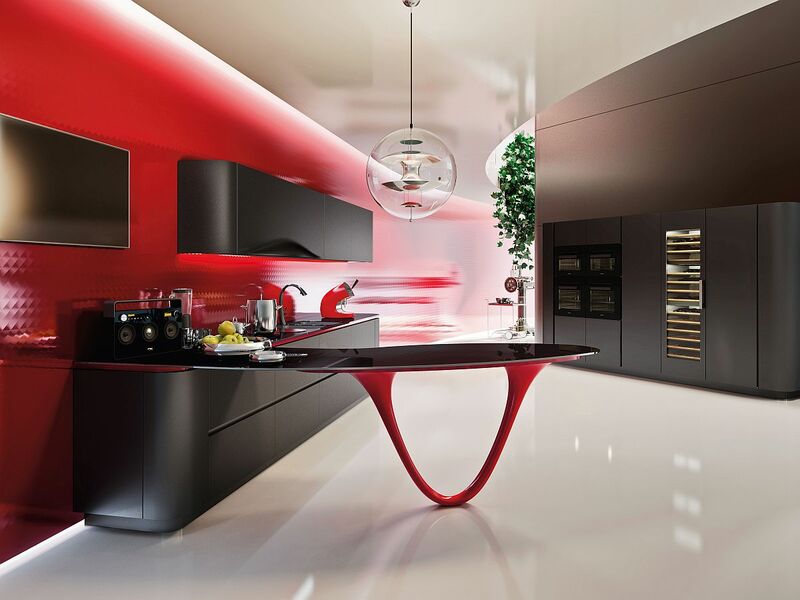 Snaidero – a name synonymous with the best in the world of kitchen design; it is a brand that evokes images of timeless Italian design coupled with the latest trends and trendsetting features. But the early story of Snaidero is quite different. It is a story of the determination, character, persistence and entrepreneurial genius of one man, Rino Snaidero. 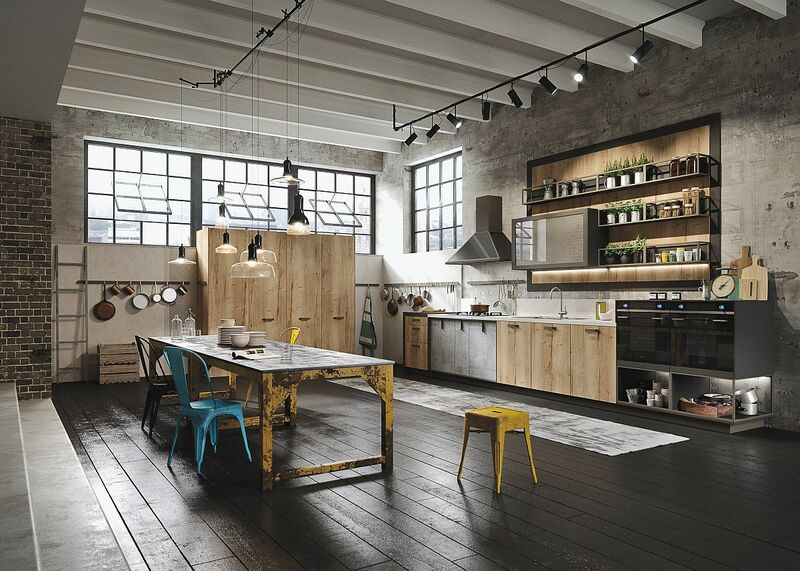 In a postwar Europe that was still finding its footing, this young man embarked on a new journey by breaking away from the family trade and setting up a small workshop in Deveacco, near Majano, Udine. 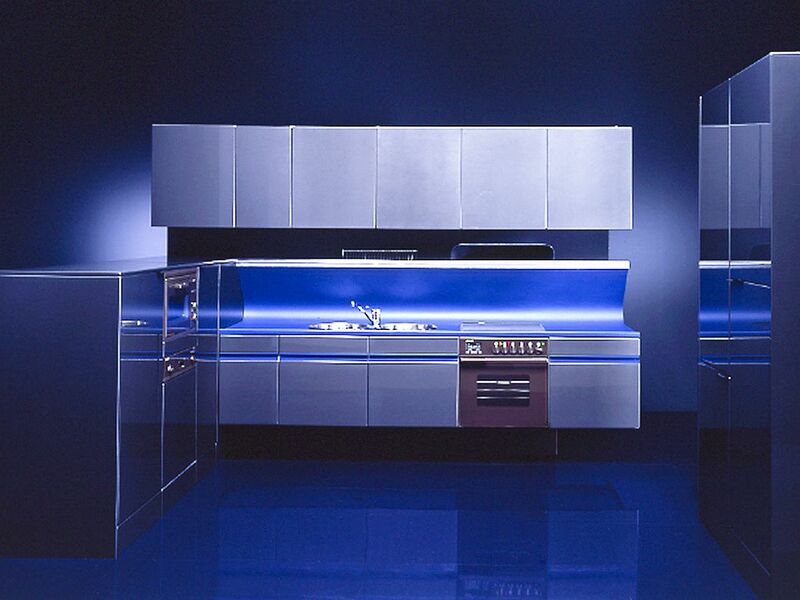 70 adventurous and glorious years later, the journey continues in the form of the world’s leader in Italian kitchen design! 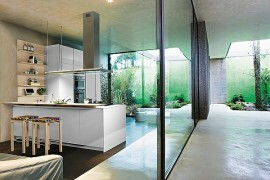 Snaidero is a name that even those not too interested in the world of design and decorating can easily recognize. 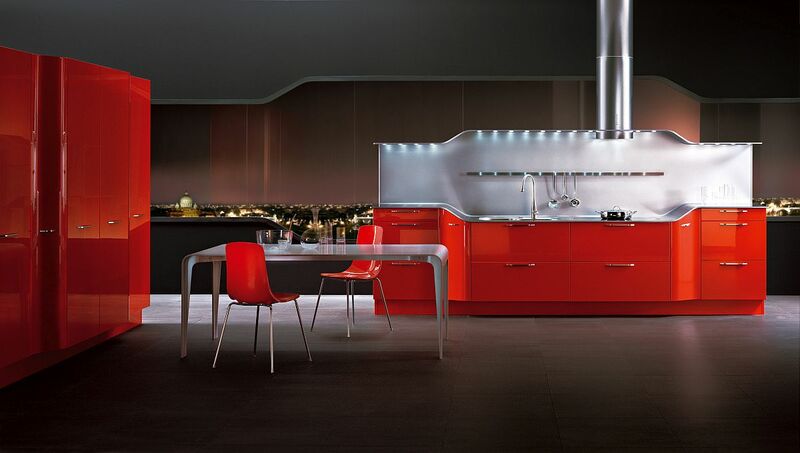 Italian all the way, each of the kitchens produced by the company since its humble beginning as a small workshop in 1946 has gone on to become a global icon. 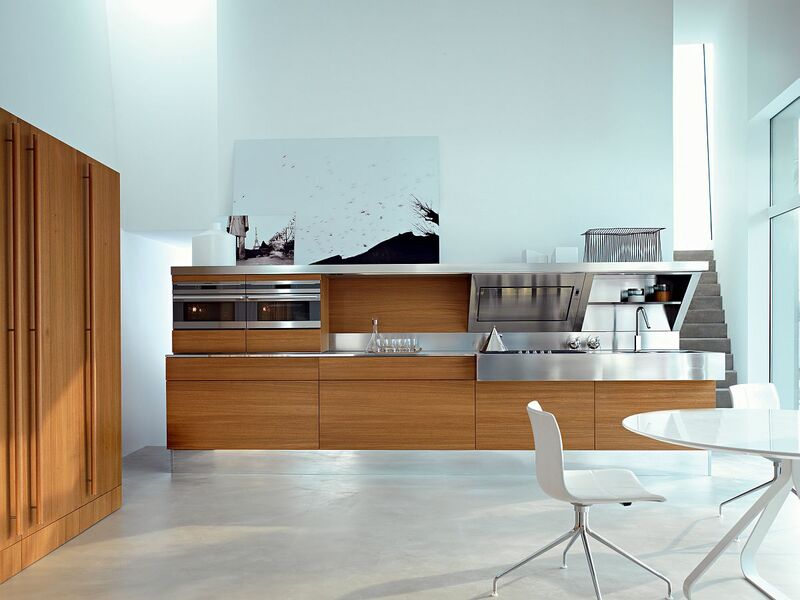 Shaping homes all across the planet, changing lives and bringing families together, a perfect kitchen for Rino Snaidero was always about much more than just ergonomics and aesthetics. 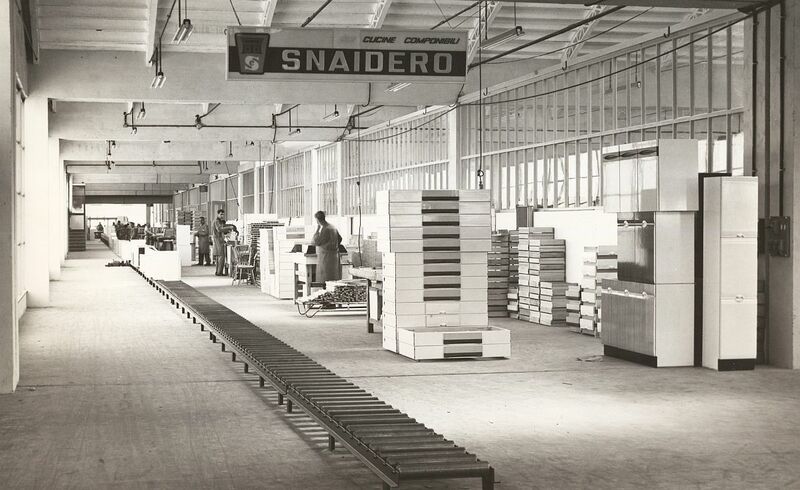 Today, 70 Years since its start, we celebrate this spirit and take a look at the evolution of the quintessential Italian kitchen that Snaidero represents over the last seven decades. 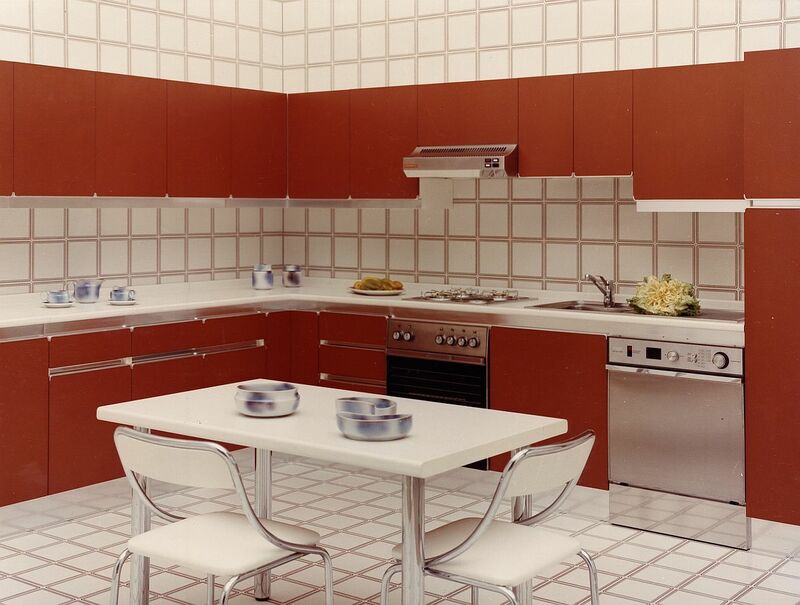 It is a trip down archives that will bring back nostalgia for some and shed more perspective on modern kitchen design for others. It is a ride you simply should not miss! 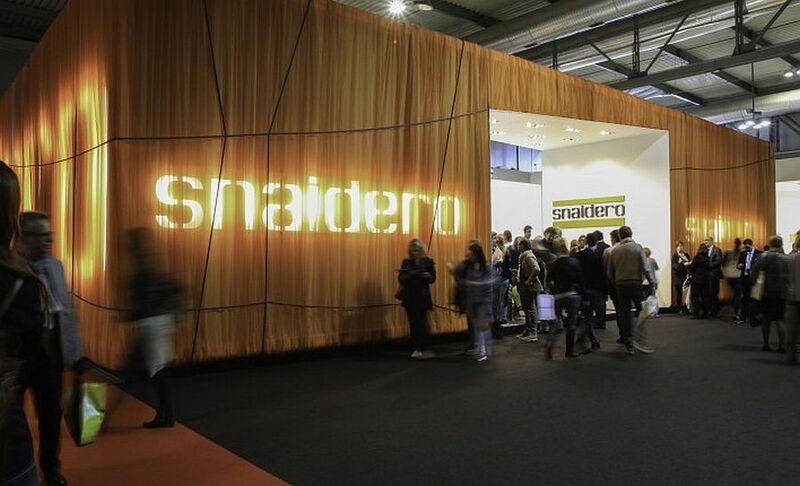 A war-torn Europe was the setting for the birth of Snaidero. The 40s were an uncertain decade that saw Europe being plunged into war and witnessing the destruction of homes, infrastructure and lives. 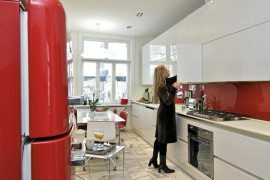 The decade’s second half was all about working toward a more stable future; the first steps Europe took toward a new beginning. It was a renaissance in its own unique way, with Italian industry once again churning out great designs in the design and automobile sectors. And this led to the fun-filled 50s, a decade when people just wanted to enjoy the benefits of peace and the budding economic boom. 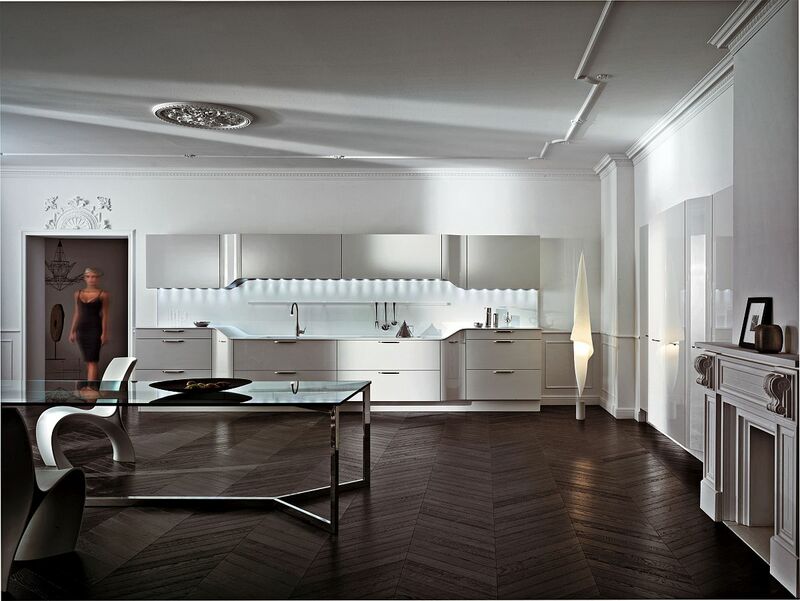 The story of Snaidero is very much woven into this larger picture of both Europe and Italy, as the workshop started by Rino Snaidero started to grow considerably over time while churning out beds, living room décor, windows and a whole lot more. 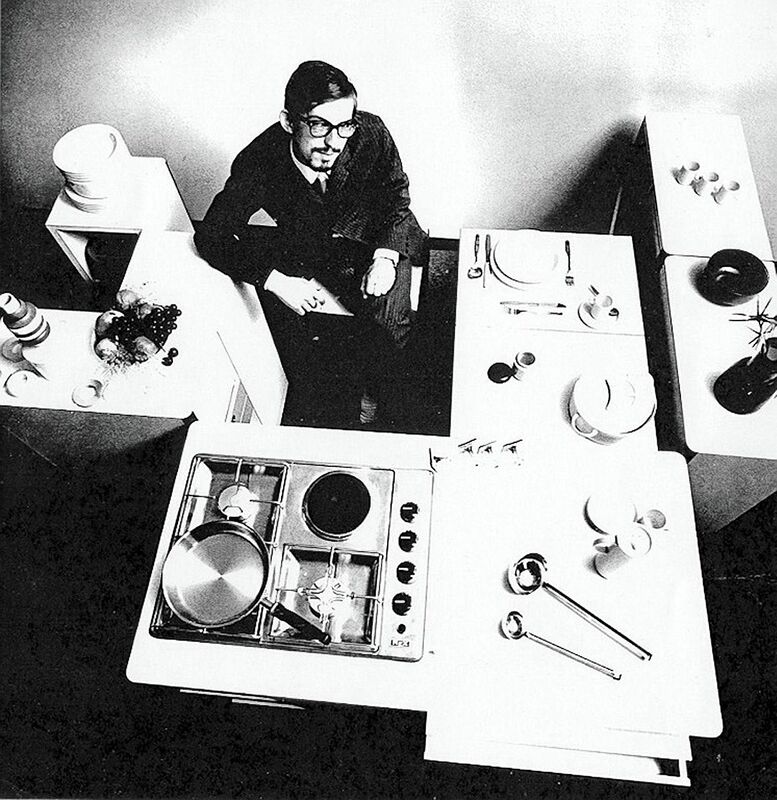 It was in 1959 that this post-war pioneer settled on manufacturing just kitchen furniture, a decision that saw the birth of Snaidero as we know it today. 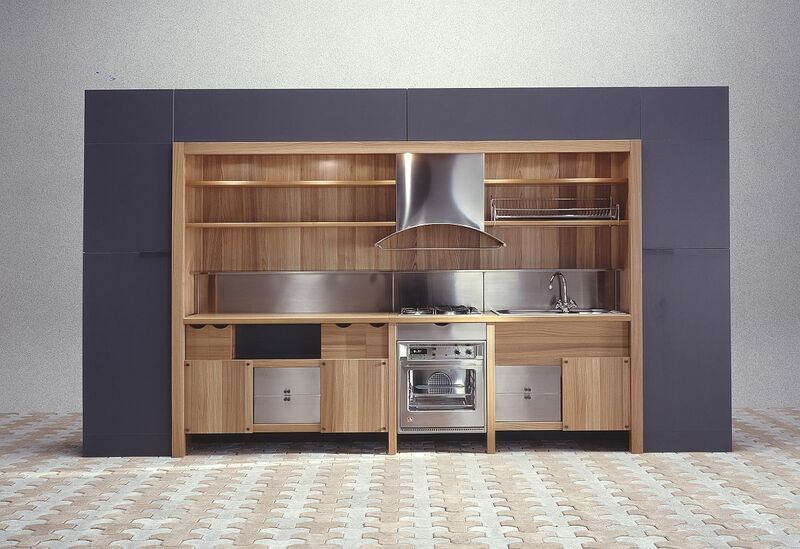 And Gloria, the first modular kitchen in polyester lacquered wood, was undoubtedly the composition that put Snaidero firmly on the world map as a top-notch kitchen manufacturer. 60s – A Voyage Across the Atlantic! 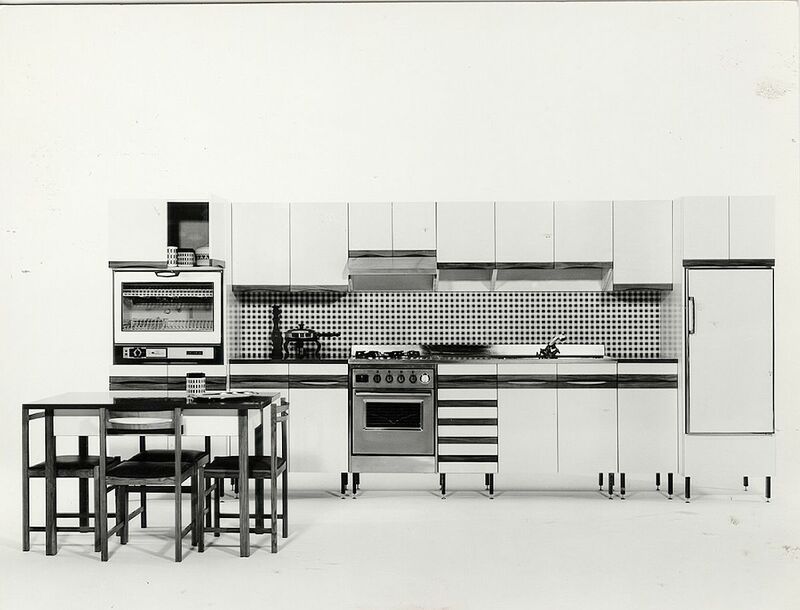 If the 50s were the era of Gloria showing Snaidero a clear path towards kitchen manufacturing, the 60s undoubtedly cemented this decision and even took Snaidero into the Museum of Modern Art of New York. 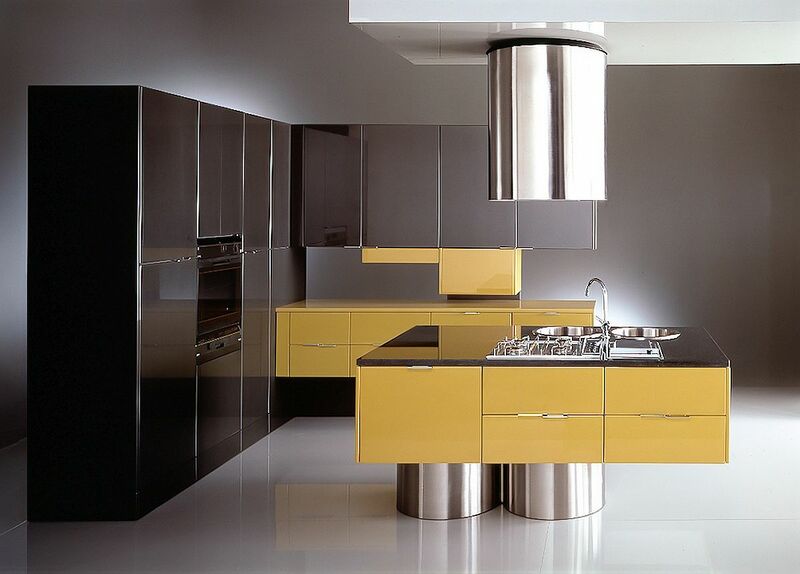 Two kitchen designs from the company became the global gold standard in this decade, and while one of them was inspired by Hollywood and the classic tale of the ‘American dream’, the other came about as a result of unparalleled design genius. 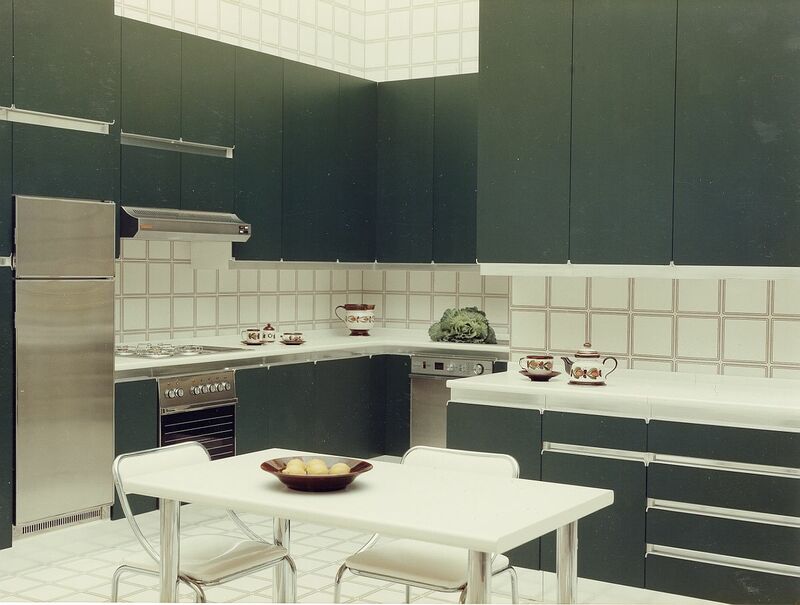 ‘Old America’ was a kitchen that resonated with everyone across the world fascinated by cinema, music and the culture that was emanating from the US at the time. 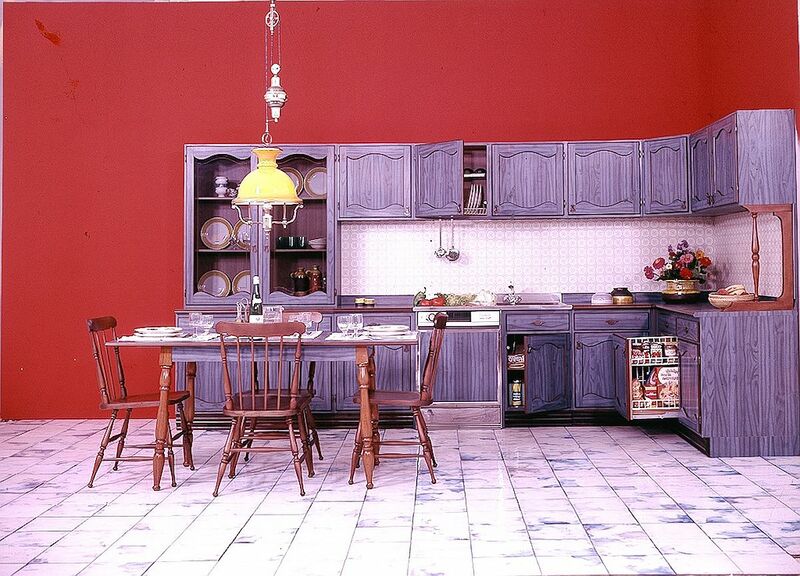 Old America combined color with comfort and was marketed on the image of a ‘relaxing family time’, with the kitchen being at the heart of it all. (Not too far off from today’s trend!) 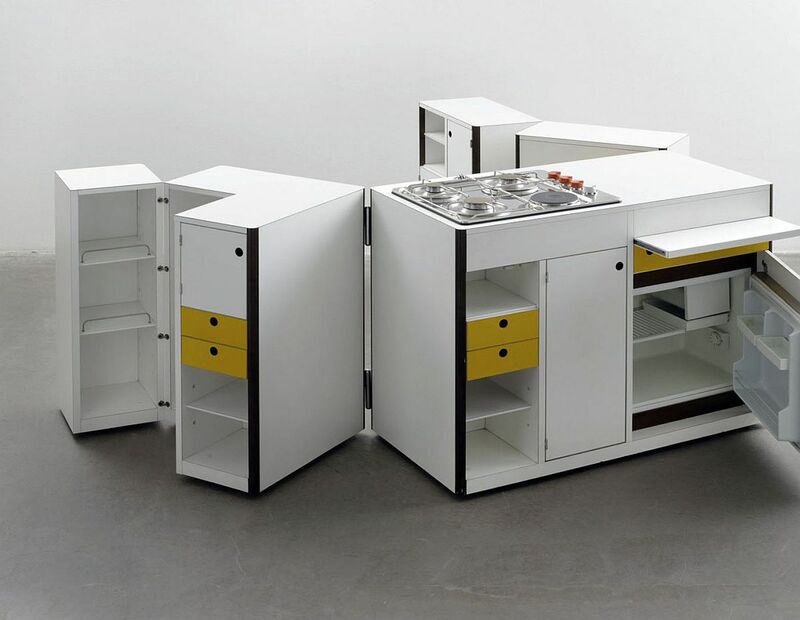 But eclipsing the success of this lovely composition was the ‘Living Space kitchen’ – a cutting-edge design by Virgilio Forchiassin that changed the way the world looked at Italian kitchens forever! 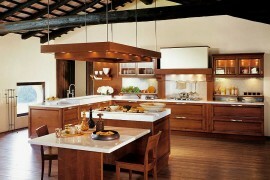 With individual island units and multiple modular sections, this kitchen was light years ahead of its time. The 70s were an interesting time with the post-war trauma fading away and a new generation wanting to assert its own style and change the existing trends. 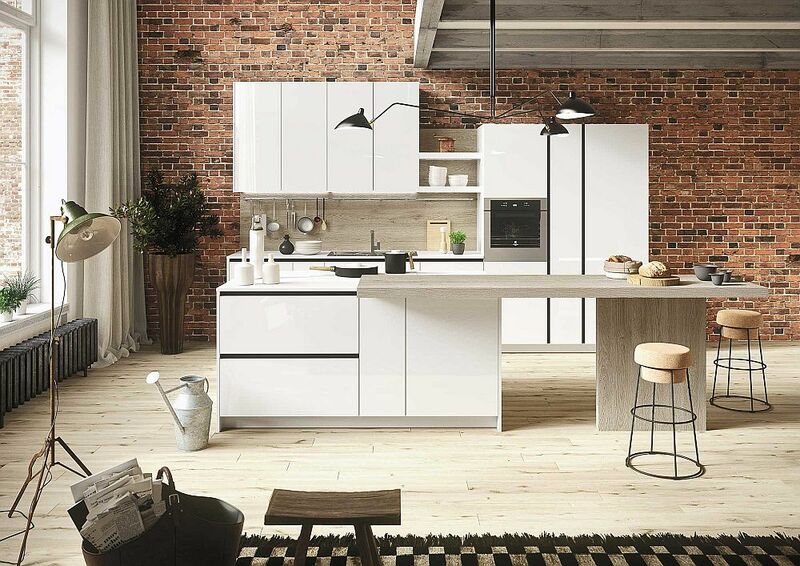 This is a decade that today feels like a blend of the 60s and what was to come in the 80s and 90s – the perfect bridge between two distinctly different styles and kitchen design philosophies. 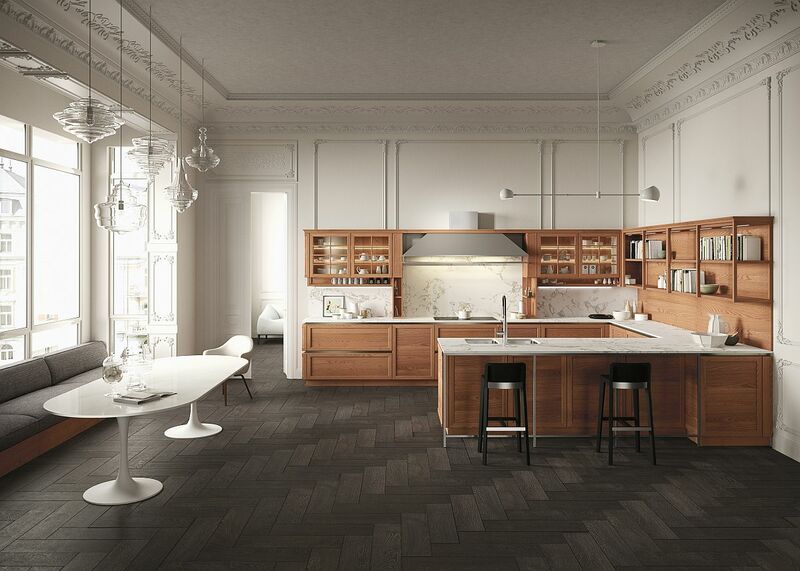 The warmth and cozy elegance was giving way to a more ‘mechanized’ look, and clean lines and crisp finishes were just starting to emerge. 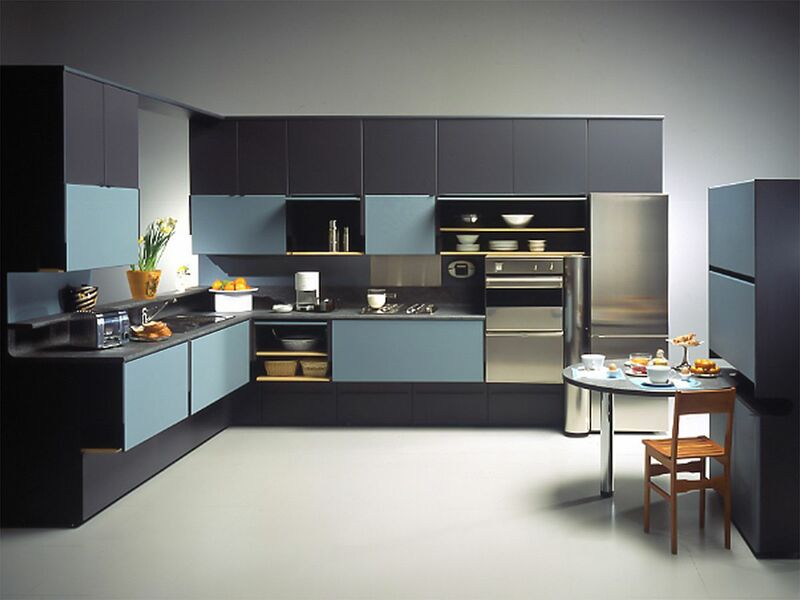 There was no shortage of color, though, and kitchens like Diana and Nadia with colorful laminated cabinets held sway. 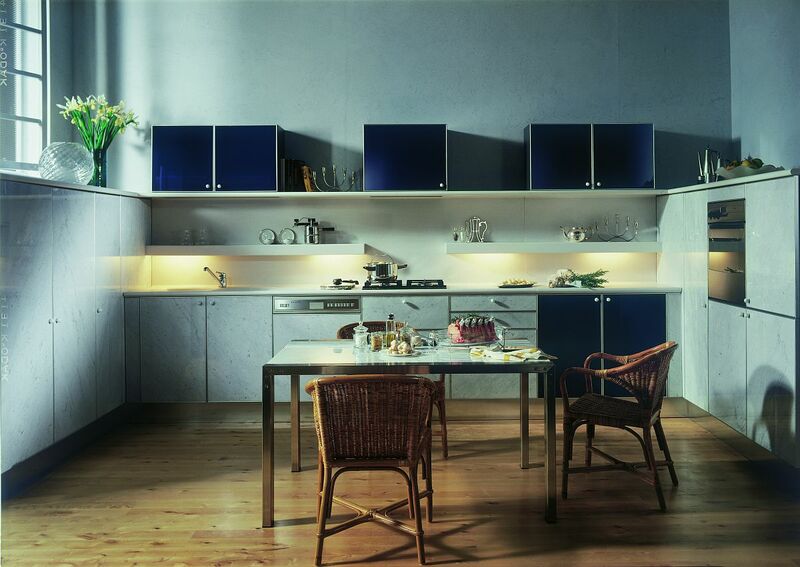 The 80s saw the emerging trends of the 70s being solidified and kitchens becoming more private, individual spaces where functionality often preceded bespoke design. 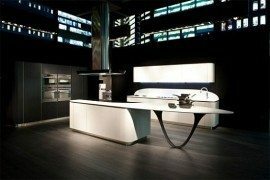 A change in the pace of life coupled with globalization made design more ‘uniform’, and the kitchen range from Snaidero in this decade epitomizes the trend. 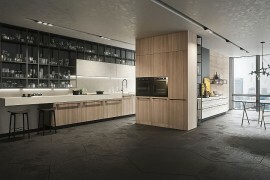 Still, one can see the chain of evolution moving forward, with Giovanni Offredi spearheading the change with its innovative Kalia and Contralto kitchens. 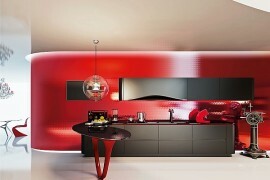 Curved sink tops coupled with simple, straight lines created a fusion that seemed simply irresistible! Strange as it might sound, the early 90s were undoubtedly the start of a new millennium across the globe in terms of fashion, style, design and connectivity. 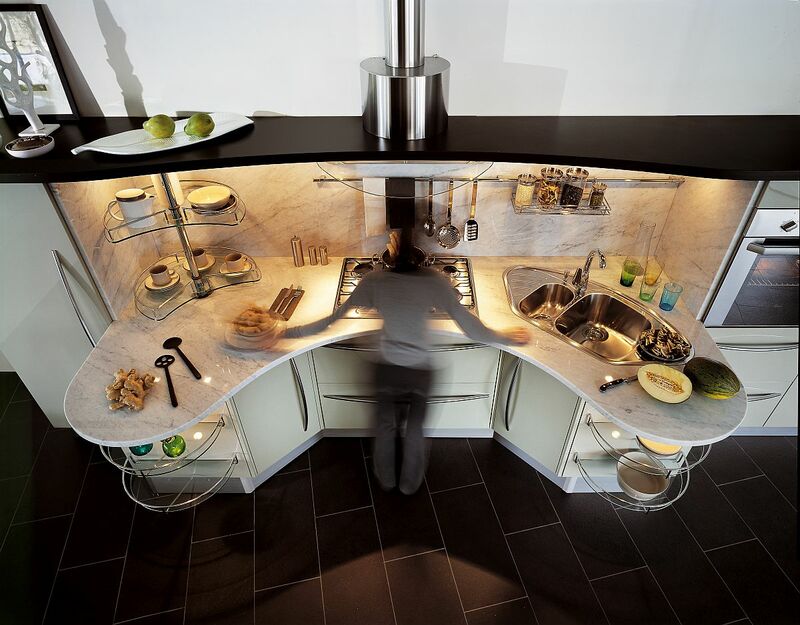 Suddenly the world became much smaller with everyone having a say, and kitchens of the 90s were all about combining the exceptional with the useful. This is where Snaidero’s association with automotive design icon Pininfarina started to take shape and the amazing Ola series came into being. The fact that the series is still as strong today in its various reincarnations as it was in the mid-90s shows the design genius and versatility behind Ola. 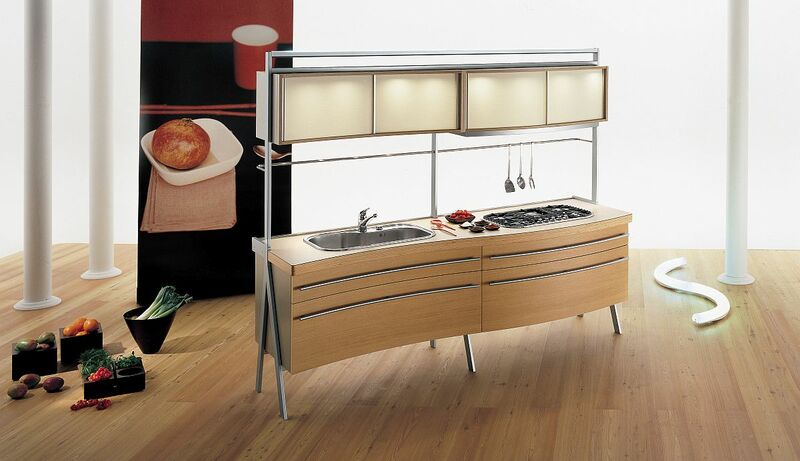 For most design aficionados, Snaidero kitchens from the first decade of the 2000s will not seem too unfamiliar. 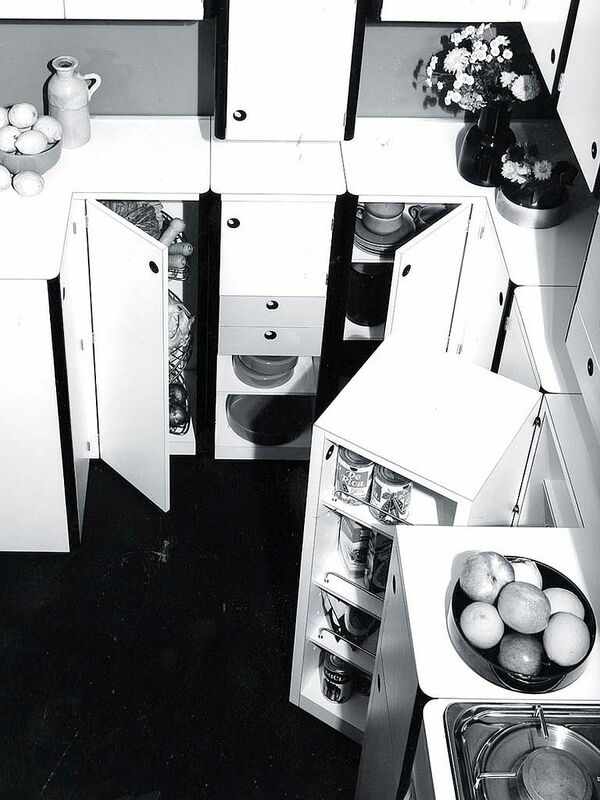 Moving away from the more ‘homogenous’ look of the 90s, kitchens in these 10 years explored versatile ergonomics despite ensuring that the aesthetics still remained as contemporary as possible. 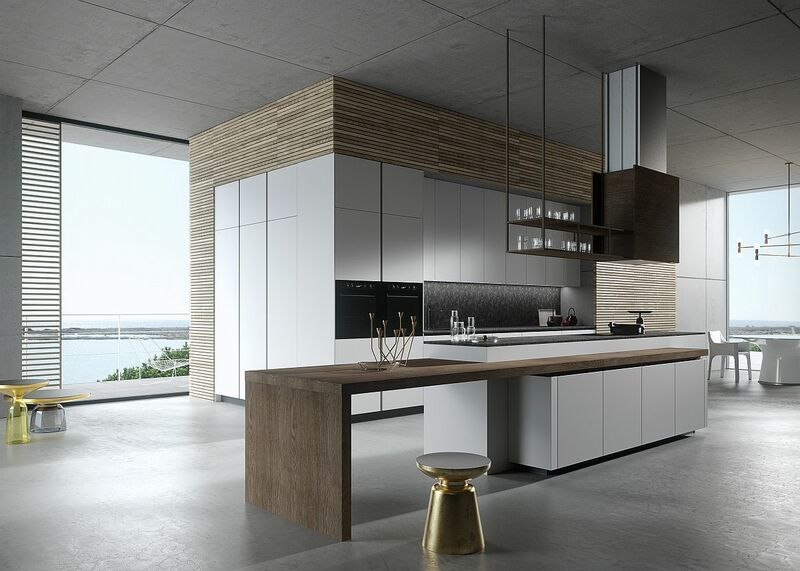 Skyline by Lucci and Orlandini ushered in the idea of ‘universal design’ and kitchens that can serve almost anyone, in any corner of the globe without too many changes. 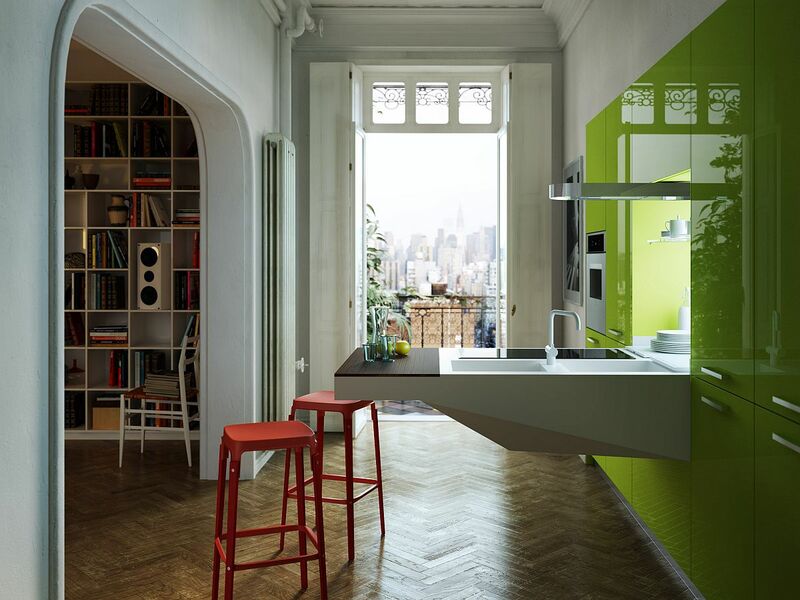 Venus, Kube and Sistema ES emphasized the need for ample storage space for the urban denizen, as apartments in big cities dictated several design trends. And that, folks, is how we got to where we are today. 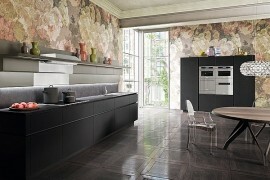 Those who follow Decoist on a regular basis would already be very familiar with the Snaidero kitchens that topped the trends chart in the last few years. 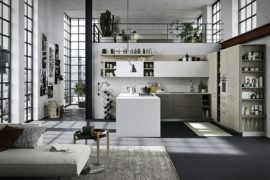 Heritage kitchen designed by Iosa Ghini its classic-minimal look, Loft by Michele Marcon that ushers in industrial appeal and the Space-savvy Board are just a few of the many amazing compositions that we have discovered in the last three years. 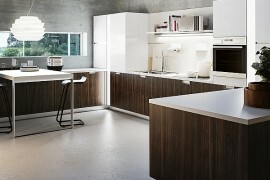 Of course, my own personal favorite is the OLA 25 Limited Edition kitchen that simply leaves you spellbound. 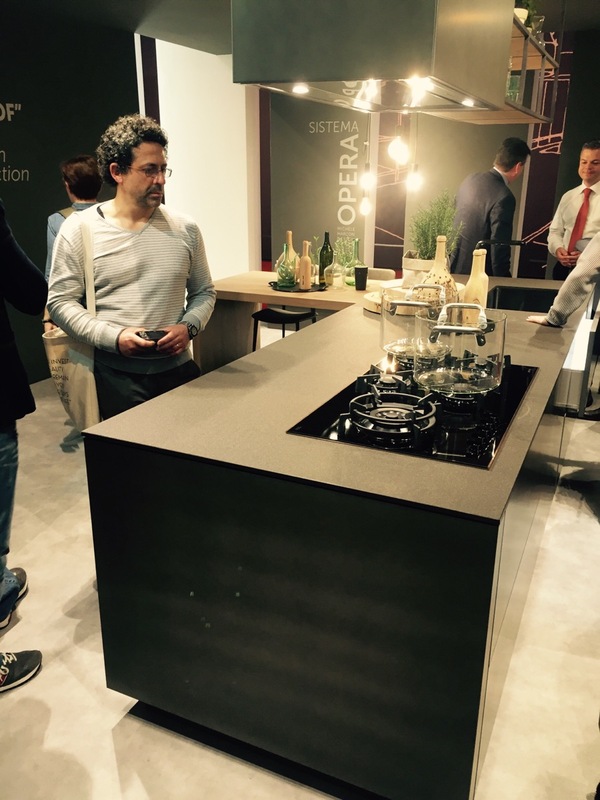 Having had the privilege of visiting the Snaidero stand at this year’s Eurocucina, we can confidently say that the tradition of innovative Italian kitchens started by Rino Snaidero is alive, well and thriving! 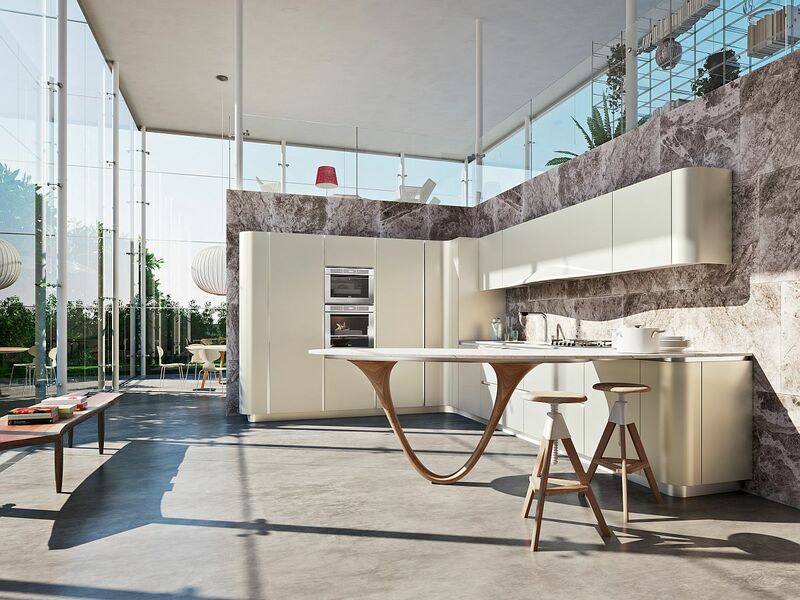 And just as it has been in every other decade, we hope Snaidero stays true to their rich tradition and produces a kitchen in the second half of this decade that will go beyond being a mere evolution and end up creating a design revolution!